It’s nearly time for a new Star Wars movie, which means we’re even closer to emptying our wallets all over some new Star Wars toys in the run up—and the show for The Last Jedi is kicking off a little early at Comic-Con with the change to get not one, but two new figures from movie. Unveiled through Hasbro’s Toy Shop, the third Star Wars convention exclusive heading down to the obscene lines of San Diego this week—and from August 14th through Hasbro’s website, if you’re lucky—is a special early bird two-pack of Luke and Rey as they appear in the movie. 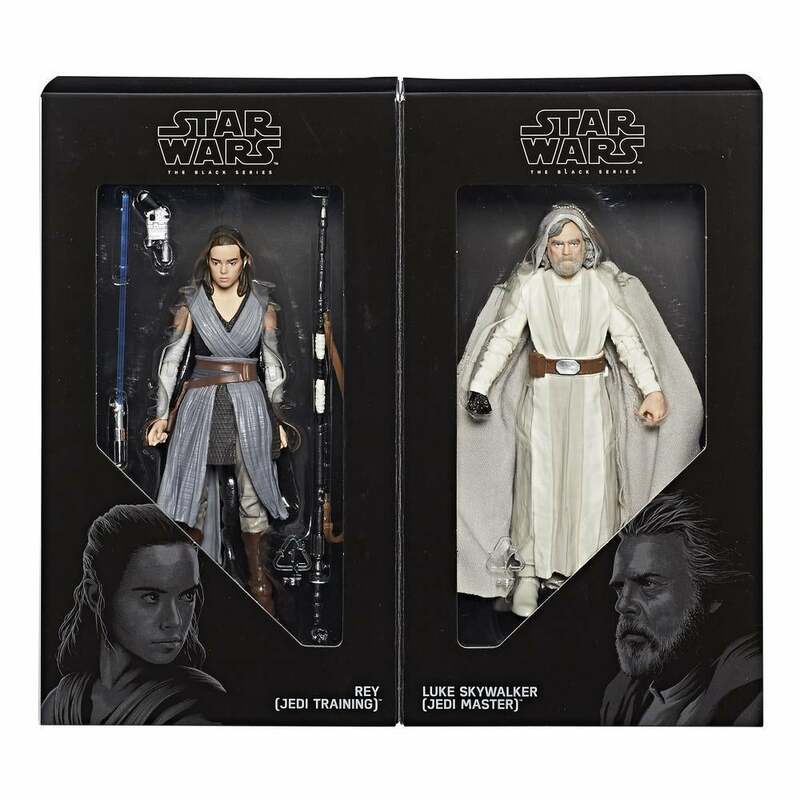 Done up in special packaging, the 6-inch scaled Black Series figures depict Luke as he appears at the end of The Force Awakens in his “Jedi Master” outfit—the first time this version of the character has been available from Hasbro—complete with fabric cloak to dramatically toss off at a moment’s notice, and Rey in her new “Jedi Training” outfit from the movie, complete with lightsaber, staff, and blaster pistol. Poor Luke, all alone and accessory-less. 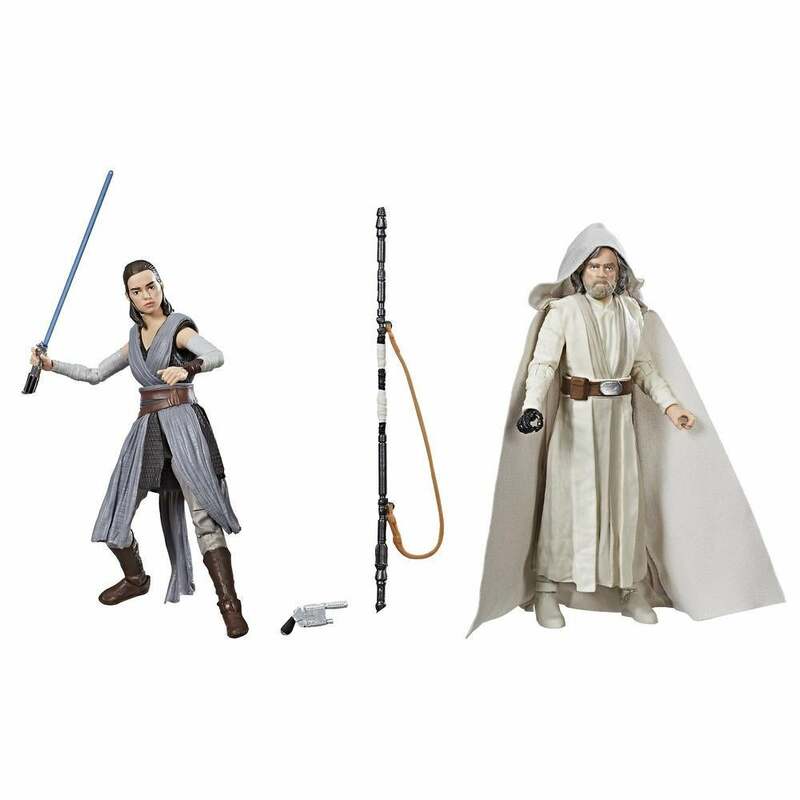 As with previous Star Wars Comic-Con exclusives, these figures will presumably be available individually and in normal packaging starting September 1st, when the first wave of The Last Jedi toys become available. So you’re pretty much paying $50 (or more on the Comic-Con aftermarket) for a month and a half’s worth of early access and some fancy packaging, but hey—it’s early access to two of the most anticipated Star Wars toys of the year.